Da Nang is a rapidly changing modern city on Vietnam’s central coast. Though considerably quieter than Vietnam’s other cities, Da Nang’s booming affordable luxury resort developments and world-class golf courses have the tourists knocking on its door. 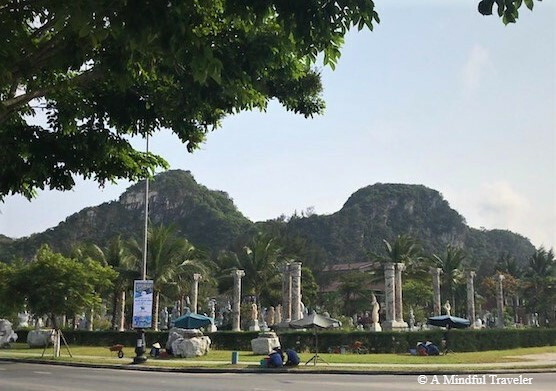 With many sights to see and a seafood culinary haven, the dynamic city of Da Nang is alluring visitors from all over the globe. 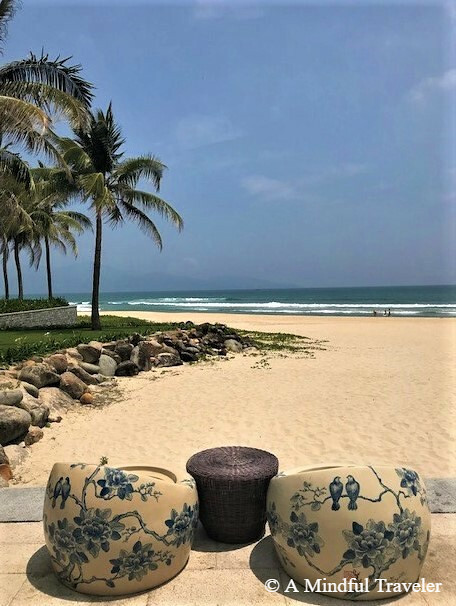 With kilometers of impressive beaches concealing hidden bays along its coastline, it’s no wonder Da Nang shores were voted one of the most luxurious beaches by Forbes Magazine. Views from the soft white sandy beaches of Non Nuoc Beach or the Son Tra Peninsula are simply captivating. 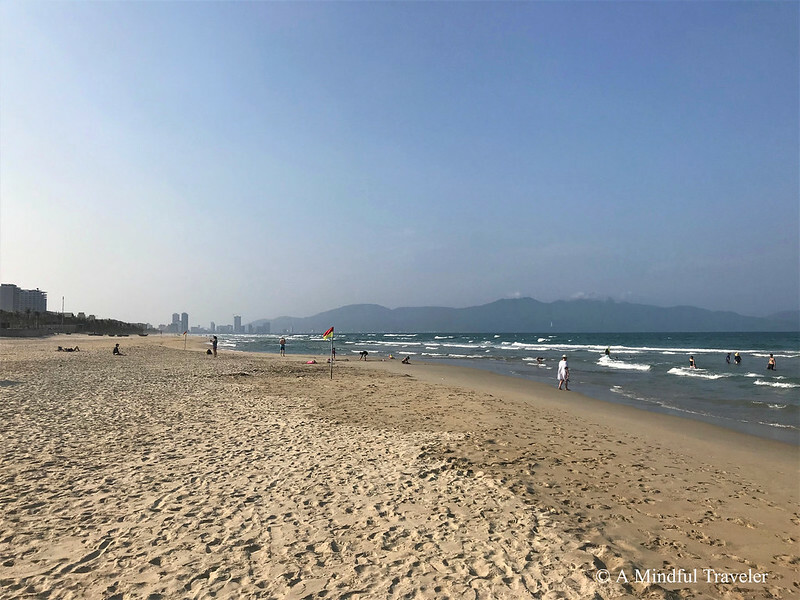 From these beaches, across the Bay of Da Nang, you can see the majestic ranges of Son Tra Mountain, where the tallest religious statue in Vietnam stands. The 67 meter Lady Buddha, gracefully watches over the city of Da Nang and at night is beautifully illuminated, registering her presence and power from across the bay. The city center is quickly evolving. Still ever-present is the French colonial architecture, though contemporary restaurants and bars are emerging and boutique shops developing. 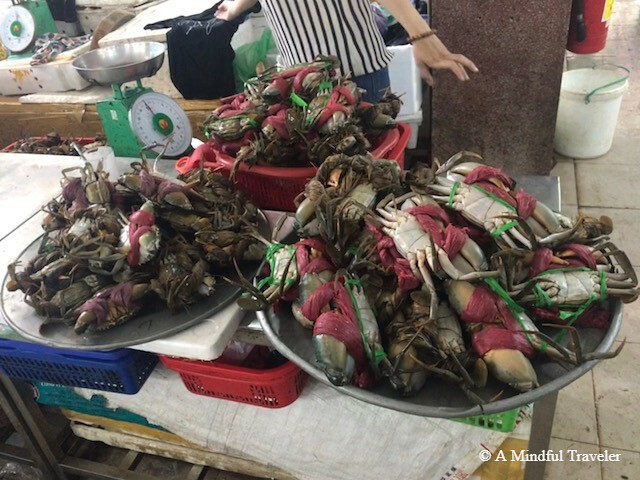 But a trip to Da Nang city requires a visit to the local Han Market. 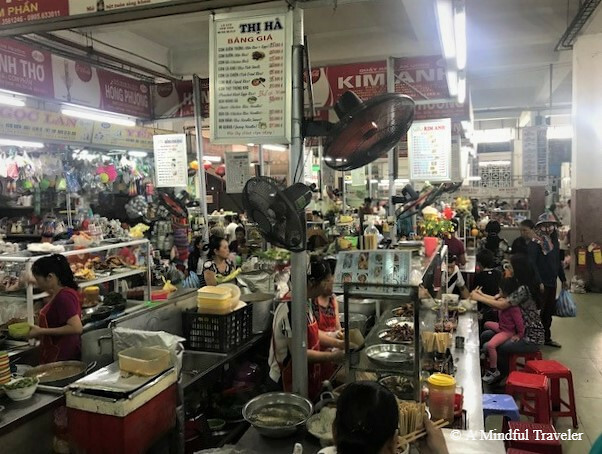 This bustling indoor market is the place to experience true Vietnamese culture. From fresh fruit and vegetables to the morning’s catch of fish and seafood, this market has it all. Packaged food to bring home, local delicacies to try and bargain clothing to be bought. Your five senses will be taken on a wild ride at Han Market. The innovative Tran Thi Bridge and the Golden Dragon Bridge both span the breadth of the Han River in Da Nang city. 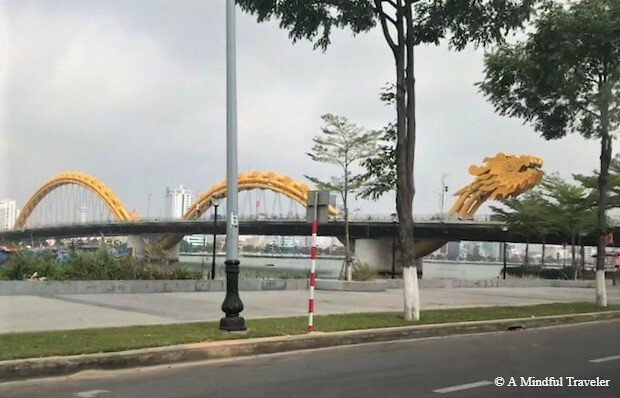 The Golden Dragon Bridge brings the city to life in the evenings with its bright illuminating lights and dramatic show of fire and water, which spray from its mouth. Watching the ferries along the Han River is a pretty way to view the city at night. The Cham Museum is a traditional French-colonial building, where you can discover the history and view one of the world’s finest collections of artifacts from the Cham dynasty (which was at its peak from around the 6th to the 15th century). Terracotta and stone works of art are exhibited at this museum. Da Nang is a great base for visiting local cultural attractions. Breathtaking mountains and ancient pagodas are all easily accessible. Marble Mountain and day trips to the UNESCO cities of Hoi An, Hue, and My Son are a must if time allows. Forty kilometers away is the Ba Na Hills. This site offers breathtaking views of the city and is home to the world’s longest, non-stop, single-track cable-car journey. Panoramic views, tropical forests, and rare animals belong to Ba Na Hills. Many hotels built along the mountainside were destroyed after the war, resulting in recent restoration by the city, of villas, hotels and cultural areas. 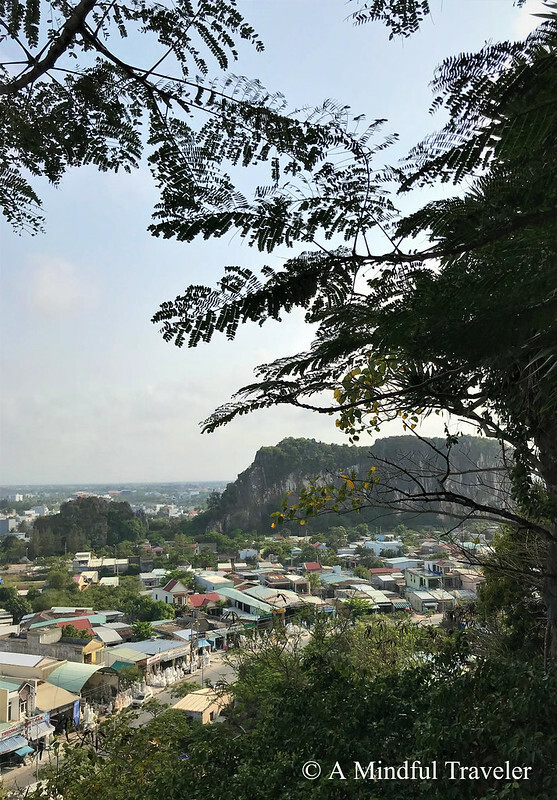 This natural reserve protected by Da Nang’s conservation order has preserved this mountainous area and sheltered more than 1000 species of local flora and fauna. Its stunning beaches, reefs and the great motorbike trek of Hai Van Pass, is considered another hot spot for visitors. My Son Sanctuary is a large forested complex of religious monuments, derived from the spiritual origins of Indian Hinduism. From the 4th to the 15th centuries, My Son Sanctuary was an Imperial city during the Cham dynasty. This place of history and culture-oriented tourism showcases the ancient Cham religion, where in early days My Son became the center for spirituality and worship. Da Nang’s dining scene is on the uprise. With a plethora of seafood restaurants offering only the freshest seafood caught from the bay, visitors are spoilt for choice with affordable dining options, especially along Beach Rd. Da Nang’s cuisine is heavily influenced by centuries of Chinese, Japanese and French flavors. Soups, salads fresh greens and herbs all tempt your taste buds. 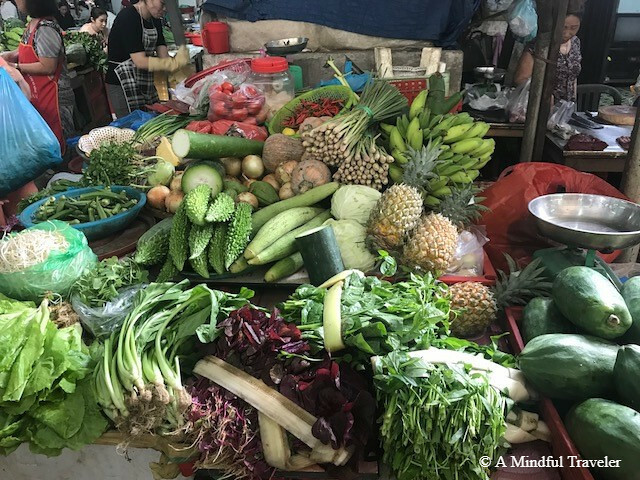 Why not immerse yourself in Vietnamese cuisine and try a cooking class or food tour. One of my favorite dishes was bánh xèo. 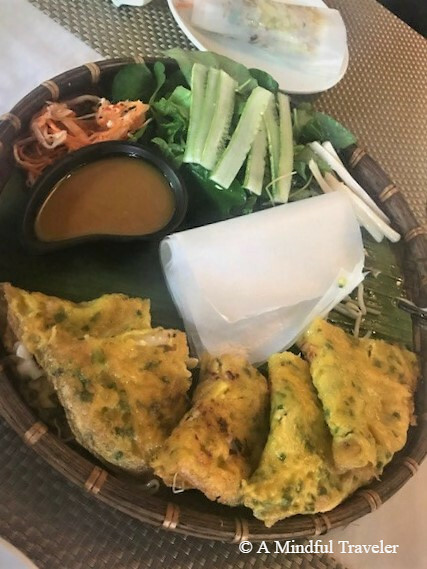 This turmeric rice flour crepe filled with bean sprouts, shrimp, and fresh herbs is a real treat. Served with nuoc cham sauce and crisp lettuce, this traditional street food is found all throughout Da Nang. Da Nang is an energetic city that is swiftly developing. It’s no wonder tourists find this city inviting. 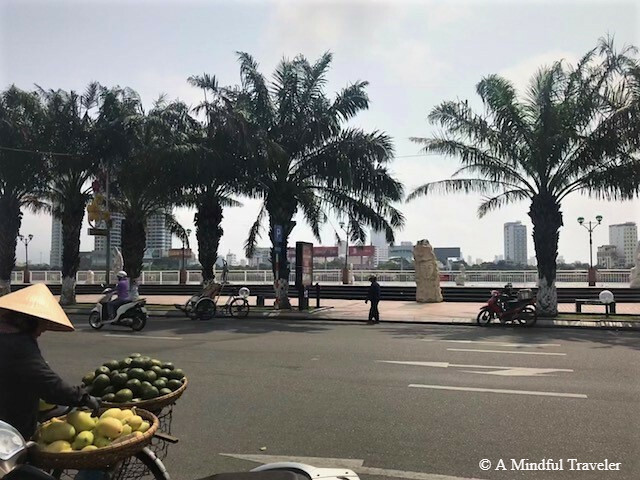 The friendly nature of the locals, accompanied by tasteful traditional food, alluring beaches, and local cultural attractions will definitely compel me to return to Da Nang yet again. February to May as the best time to visit. 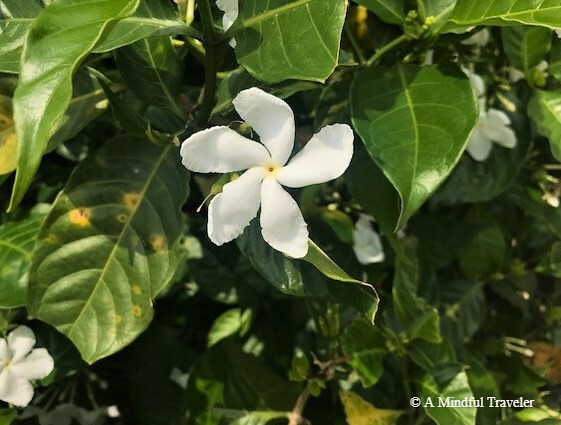 Da Nang is relatively mild and experiences hot, dry weather from May to late August with more rainfall from September to January, with the wettest months being October and November. Vietnam has a tropical climate. In February there is the international fireworks competition and June delivers the beach festival. Taxi Fixed-rate and metered taxis are available at the airport. Make sure to take the reliable green Mai Linh branded cabs. 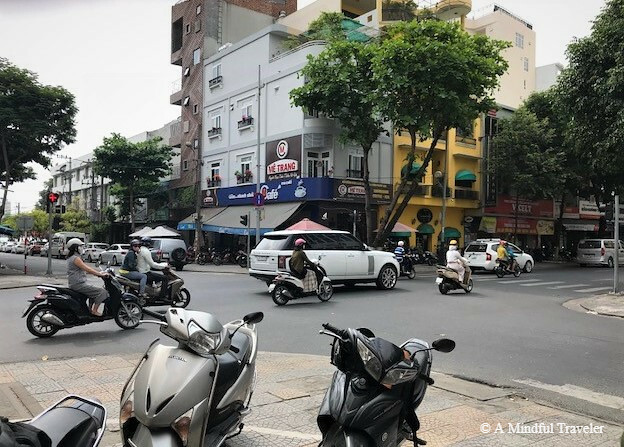 A metered fare into the city center (5 minutes) should cost around VND 60,000. 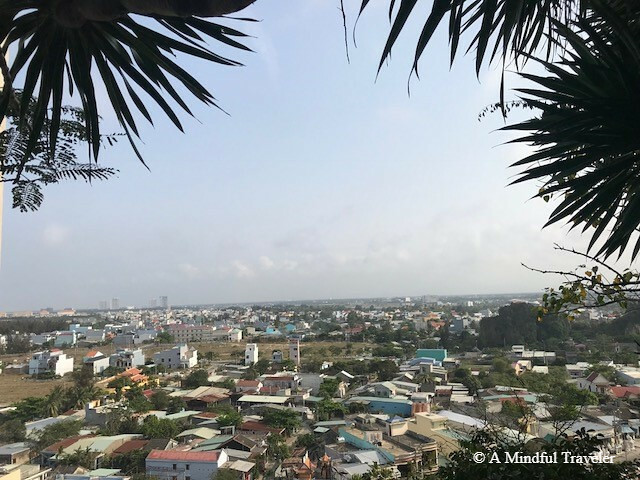 Danang is not a large city, therefore, making it easy to explore by foot. Taxis are cheap and motorcycle taxis are available too. You can also get around on a bicycle. Vietnam is such an interesting place to visit particularly with so much history. May be some day I will get to visit. 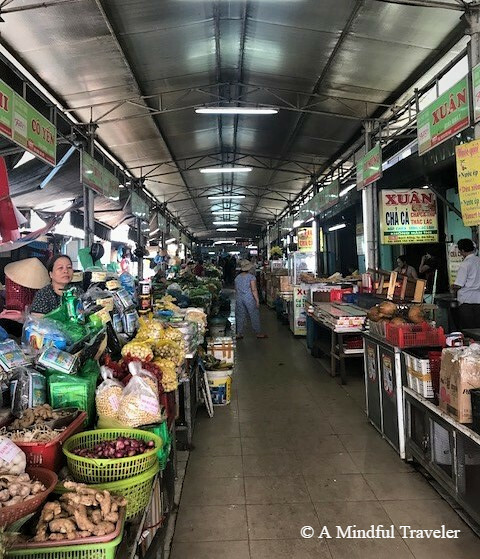 It’s nice to know that the local market is going strong despite the influx of commercial resorts. Da Nang seems like an excellent center point from which to explore more of beautiful Vietnam. Another place to add to the list! It looks a lovely area. I hope they don’t spoil it with too many beachfront hotels. I can manage the fruit and veg sections of the local market but am a bit squeamish about wiggly things. 🙂 🙂 Sure I could manage a few shrimp crepes though. There are so many already Jo, with more construction along the coast. The market was a real treat… you wouldn’t have liked the frogs there then!!! That beach is quite lovely! All that fresh market food looks delicious. It was a great experience Carol. Wow! I love that golden dragon bridge! What an awesome way to integrate civil engineering, design and public art!! The food looks perfect too!. Now I’m hungry! 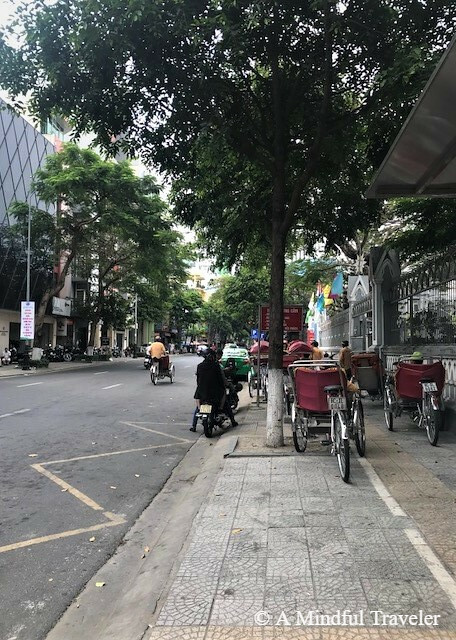 wonderful to visit Vietnam through your post! 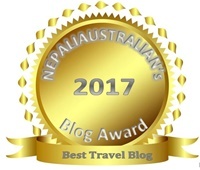 Yes very well Lorelle, Thanks for checking , summer has been hectic with travel and guests, lots to catch up on the blog front ! Oh & that Golden Dragon Bridge- just Wow!! The food of Vietnam is fabulous, the light yet zingy flavours. Sometimes it’s the little things we remember most of all. Great guide Lorelle. Your words and pics make me want to visit. My 65yo neighbor backpacked through there with her son a couple of years ago! What a lovely experience for your neighbor with her son. One she’ll never forget, I’m sure.